Hands down and without a doubt BCS has been the 'ONLY" reason we have stayed with X-Cart! Without their mods, service and support, we would have moved on long ago! Their mods don't just enhance our sites... they ARE the reason we are so prosperous and functional! Our X-cart Mod Contest Winner!! By customer demand, we have released Product Option Shipping Weights for X-cart! 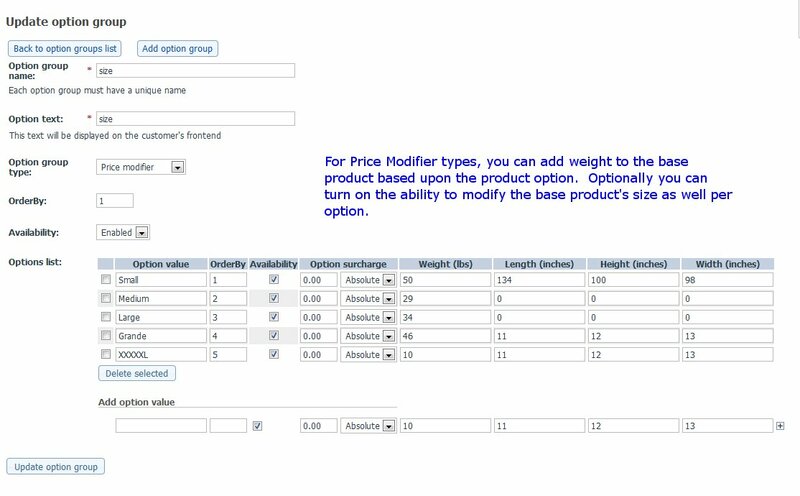 Have you ever wanted product options in X-cart to modify your weights? Have you resorted to variants just so you could use weights? Now you don't have to! Product variants can slow down your site and this module helps you avoid them! 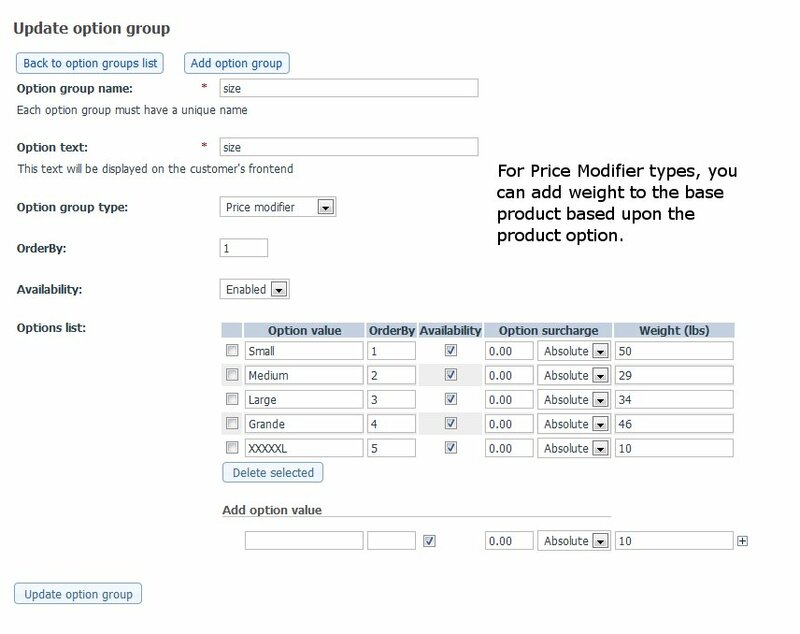 Weight at checkout depends on base, normal product weight, plus any weight associated with the options selected!